2016 has become my year in a van. There’s something really cool about towing your little home around Australia; the freedom to pull up in a town you like the look of and settle in for the night, the simplicity of everything you own fitting in one contained space, and the spontaneity that every new day has to offer. My new home and I made a 2200 kilometer trip from drove from Burleigh heads in Queensland to Tasmania. 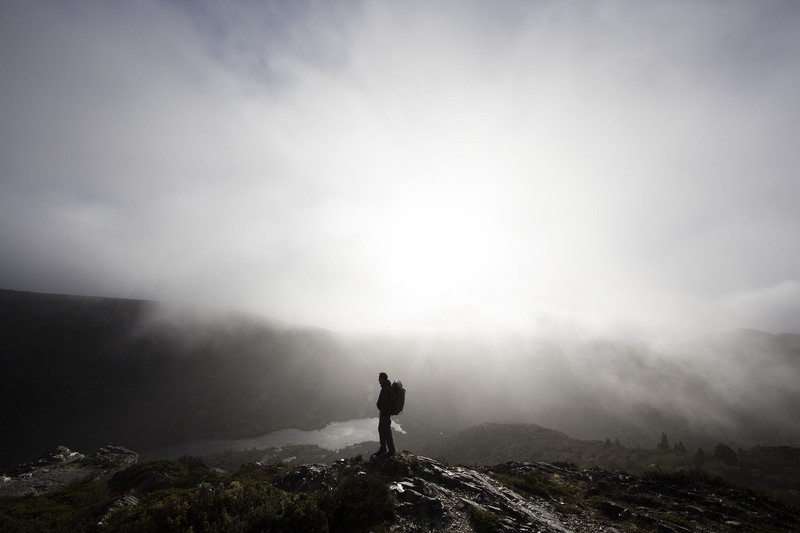 There is no better way to experience Tasmania than in a van. The sometimes overlooked island off the southeastern coast of Australia blows me away with it’s beauty each and every time I visit. I am always struck at how such a wonderland is still so quiet. 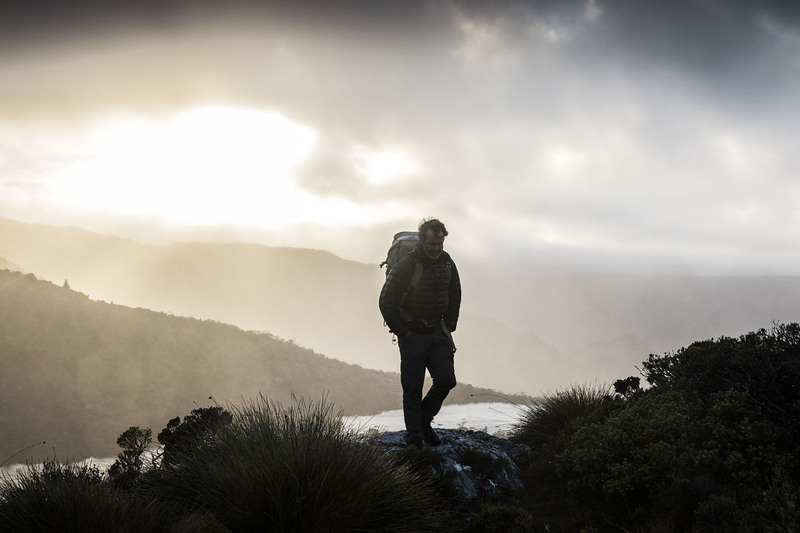 Tasmania may be one of Australia’s best kept secrets. 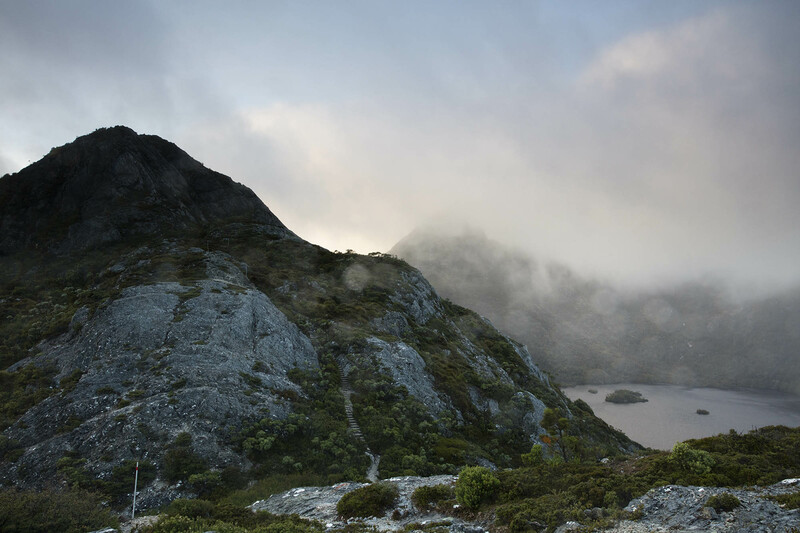 Tasmania offers countless camping areas. There are few places in the world that would be so well equipped for the adventure seeking wanderers like myself to pick up at any given moment in search of another epic location. 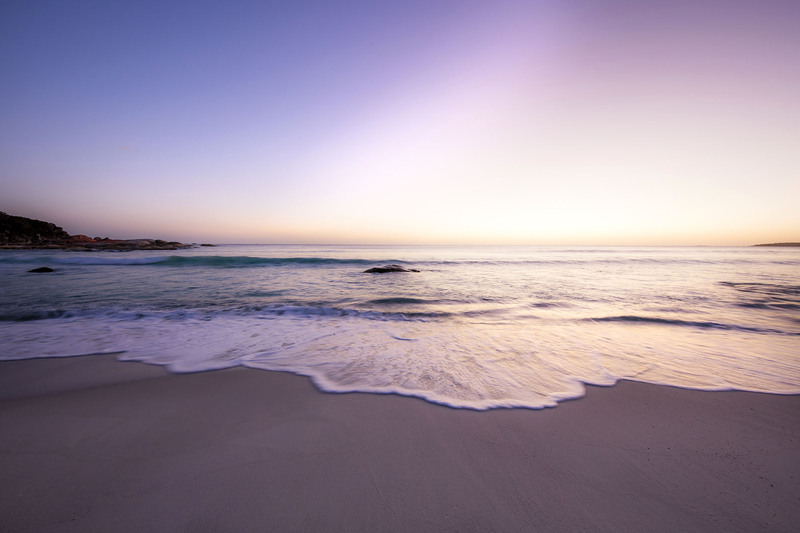 I spend my first few nights nestled into the white sand of the Bay of Fires: an incredible untouched beach surrounded by massive orange granite rocks and the bluest water. With not a soul in sight, this was the type of location that photographers dream of. Not to mention that camping at such a spot is free. If you’re wanting to travel somewhere on a budget then this is the spot. 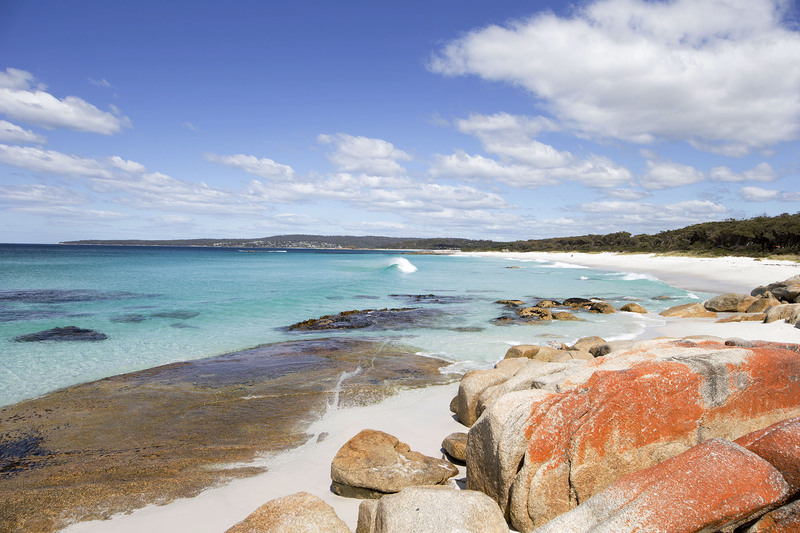 Tasmania has the best of both worlds- white sanded beaches, and greener than green mountains. 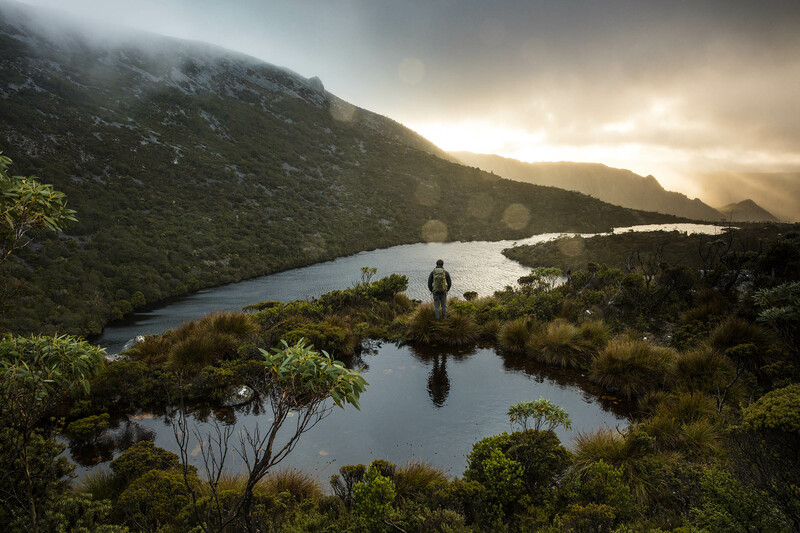 A few hours drive away and you’re at Cradle Mountain, where you can easily spend 3-4 days exploring the different hiking trails. After my first night stationed there, I decided to catch the sunrise at Hanson’s Peak so dragged myself out of my home on wheels at 5AM. The walk itself isn’t too bad, and the climb to the peak is reasonably safe. You have a chain which you hold onto but it’s almost a vertical climb. The wind at the top of the peak was exhilarating. It’s sheer power and chill factor certainly made me feel alive. It would be easy to miss such an experience, for the indulgent nature of vanlife mornings spent sipping coffee with a view from bed are hard to pry yourself away from. 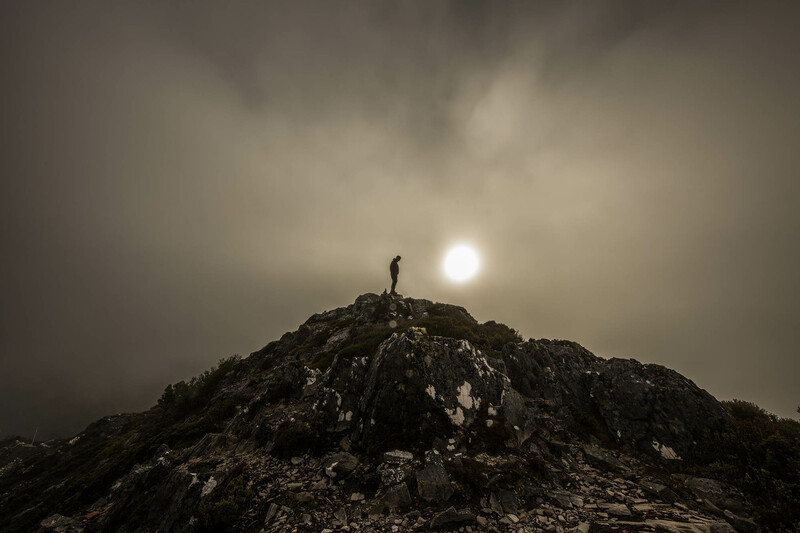 But reaching the top of the peak has got to be one of my fondest memories. The type that just reminds you that you are here, now, on this planet, and what an incredible thing it is to be alive. From the top of the peak you can see all the way down into Lake Dove – it was insane. And I spotted some magical waterfalls flowing into the lake which you couldn’t see from ground level. The smog was thick that morning but it made for the most incredible images as the sunlight broke through the smog. My photos turned out incredibly moody and gloomy. It was a dream to be able to spend such a time in solitude, completely content with my life in a van and my camera in hand. 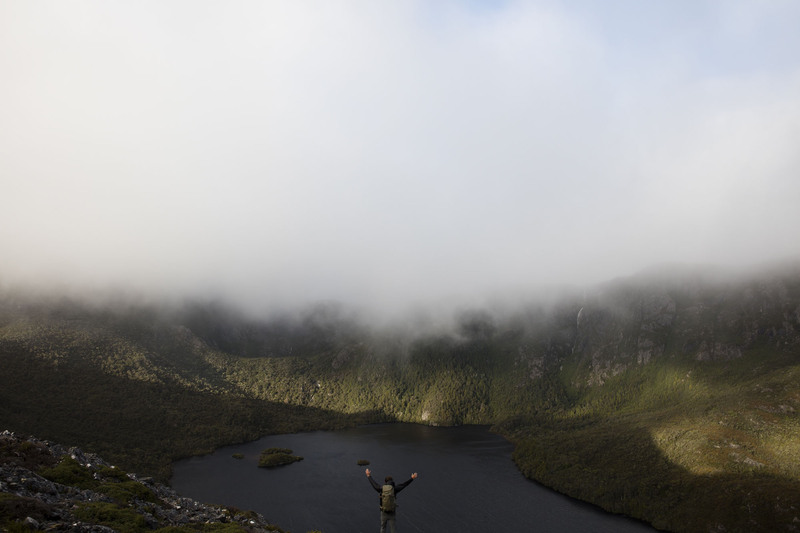 Tasmania is something everyone has to experience. The pictures really do speak a thousand words.